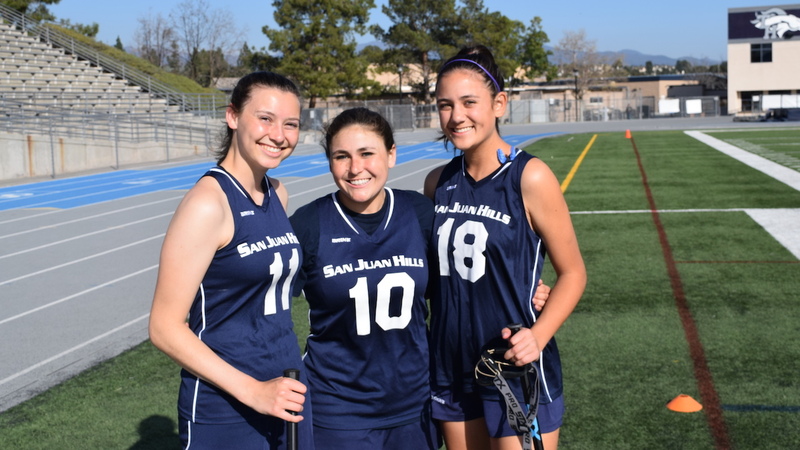 Seniors Casey Tindall and Sydney Shields as well as junior Lucy Hodge were named captains of the 2019 San Juan Hills girls lacrosse team. Tindall is a three year varsity player and has succesfully transitioned to middie this season after playing two years primarily on defense. She is also a key to the draw circle for the Stallions. Tindall earned All South Coast league last year as a defender. Shields is a three year varsity player and is the primary reason for the success of the defense. She earned All South Coast league for the past two years for the Stallions. Shields is a leader on the field and is the hardest working athlete on the team according to coach Michael Welter. Hodge is a three-year starter. She transitioned to a hybrid middie/attacker this year in the Stallions’ “Five Middie” offense. Hodge takes the majority of the draws and leads the team in scoring. She earned All South Coast League for the past two years and was also an All County selection last year.